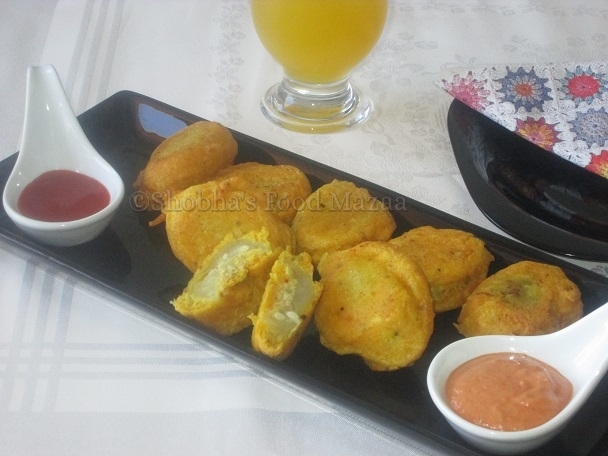 This is a Bengali recipe of stuffed kantola fritters or pakodas. Few days ago I came to know this recipe from a dear friend Tanushree Bhowmik and I decided to give it a try. These are actually supposed to be fried in mustard oil but I had to substitute it with normal cooking oil as we don't get mustard oil in Brazil. I am sure the mustard oil must be giving a better flavour and colour to the pakodas....nevertheless we still enjoyed them. 1. Wash the teasel gourds and scrape the outer skin. 2. Cut them into half length wise. 3. Steam them for 10 -12 minutes. Let them cool. 4. Scoop out the middle seed portion with a spoon. Do not discard it as it will be used in the stuffing. 5. Grind the poppy seeds, mustard seeds, green chilli and dessicated coconut to a smooth paste using a little water. 6. Heat a little oil in a small pan and saute the ground paste,scooped out portion of the gourd adding the cream or yogurt and a little salt. 7. Stuff the steamed gourd halves with this mixture. Set aside. 8. 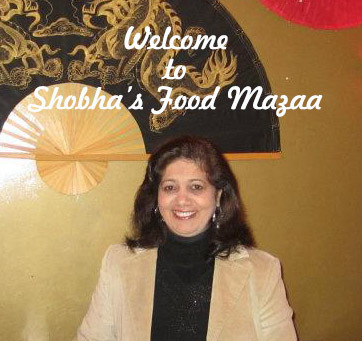 In a bowl mix the gram flour, rice flour, turmeric powder, baking powder, carom seeds and salt. Make a thick batter adding water carefully as needed. 9. Heat oil for deep frying. Coat the gourds with the prepared batter and fry them to a golden brown colour. These can be served as a snack on its own or with dal. 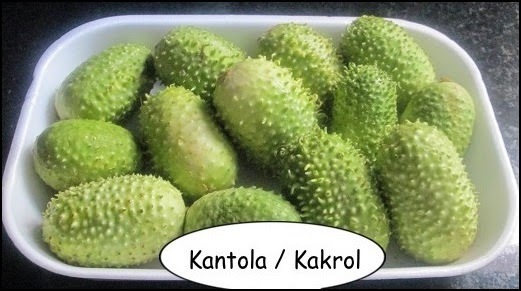 If you have never come across this vegetable here is a picture to show you how it looks. Oh do they look different.. must see how the Indian ones look like . Thanks for liking the recipe Amrita .. Thanks for the picture - I was wondering what teasel gourds were. (I know teasels as a kind of burr - not very tasty!) Well, I dont' get them here, but I imagine I could use the same method with another vegetable - some kind of squash, perhaps? Yes you can try it with any other vegetable too. These look great unfortunately gourd is not freely available in this wee corner of Europe, shame really as I would love to give this a try. Super easy fritter, Will try it soon..